Hub Monitor is being used by Emirates’ operational staff in Dubai to share and monitor real time information on the various activities that are carried out to prepare an aircraft for departure. Through its monitoring and proactive alerting system, the application helps avoid delays and improve on-time performance ultimately leading to a better passenger experience. Emirates is the world’s largest international airline operating a fleet of 270 modern all wide-body fleet of Airbus A380 and Boeing 777 aircraft. Every day around 255 Emirates flights depart from Dubai to destinations across six continents. Flights range in duration from less than an hour to over 17 hours. In order to avoid flight delays and inconvenience to passengers, it is critically important to efficiently turnaround the aircraft arriving in Dubai and prepare them for their next departure without compromising on quality or safety. With Hub Monitor, cross-functional teams from departments including Engineering, Network Control, Airport Services, Flight Operations, and dnata Operations keep track of the turnaround activities on a real time basis. The application also triggers alerts to operational staff when there is a delay or deviation to any above or below wing activity against a pre-set Precision Timing Schedule (PTS). These pre-emptive alerts allow Emirates’ teams to identify and resolve the root cause of any potential delays. 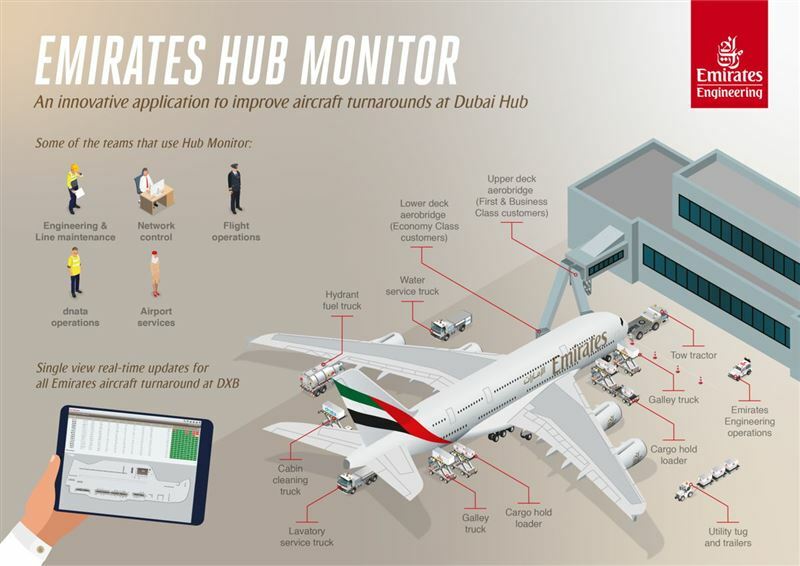 In fact, Hub Monitor has already demonstrated its potential, versatility and scalability and has been chosen as the platform for some of Emirates’ key internal initiatives on disruption and fulfilment. Hub Monitor integrates data coming in from a number of internal platforms and real-time aircraft downlinks. It then provides the consolidated data through a single view interface to relevant internal stakeholders. Hub Monitor is also mobile enabled, meaning staff deployed on the aircraft, ramp and in other remote areas can also easily access the information. The application provides information on all Emirates’ aircraft in Dubai, allowing teams the ability to proactively recalibrate and plan their activities to minimise the impact of any unavoidable or unforeseen delays. 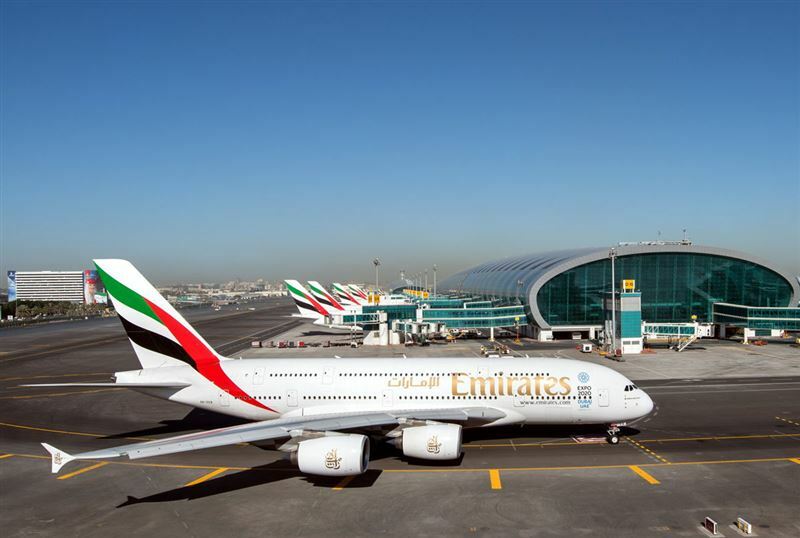 Initial results since the application was deployed in August indicate that Hub Monitor has the potential to bring about a significant delay reduction at Emirates’ Dubai hub every year.